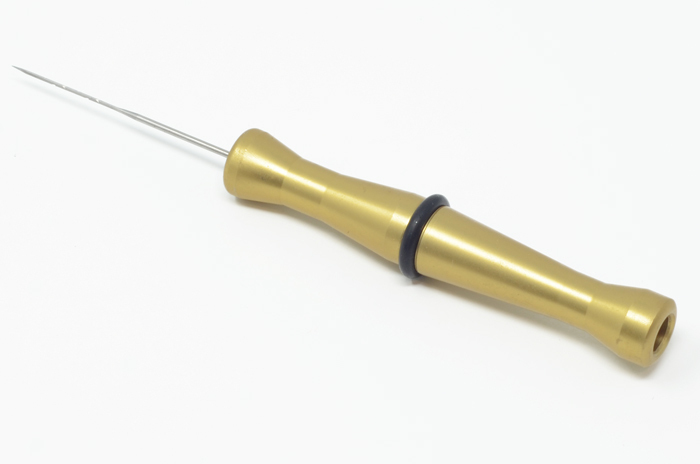 Because the body of the tool is engineered from aluminium it's possible to ensure that the needle slot is made to the highest of tolerances, meaning the needle is seated securely in the base. At the same time the rubber o-ring which holds it in place allow for a slight flex, which means needle breakages should be less common. Aluminium is a super-light metal, so the weight of the tool is just 11gm.